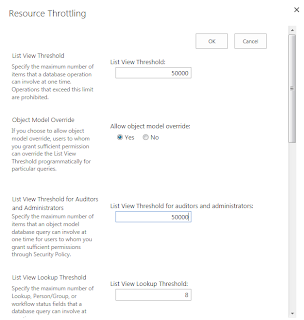 You can increase the List view threshold setting by going to central admin. 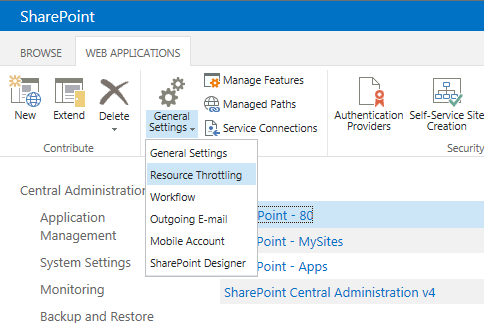 Select Web applications -> Now from ribbon...Click on General Settings -> Resource throttling. Impact will be depending upon your infrastructure i.e. While this can still have an effect on the farm as a whole if the list gets very large and/or lots of people are using it to retrieve many items, this only impacts a single list rather than all lists in a web application. Not the answer you're looking for? Browse other questions tagged 2013 sharepoint-server document-library sharepoint-on-prem list-view-threshold or ask your own question.